This item can only be purchased if you live in the UK. We cannot send any aerosols by air due to shipping regulations. Spray lightly over finished blood effect to fix and prolong. Quick and easy to apply. Water resistant. 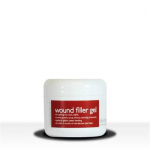 Permeable, allowing skin to breathe. Flexible, allows movement. Non shiny. Bloody Marvellous recommended sealer brand. Caution: Avoid inhaling, use in a well ventilated area. Avoid contact with eyes. Flammable liquid. Keep out of the reach of children. Avoid spraying directly onto fabrics. 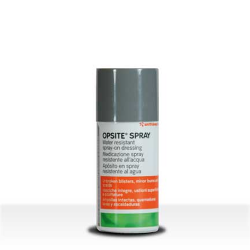 For a material safety data sheet for Opsite Spray click here.